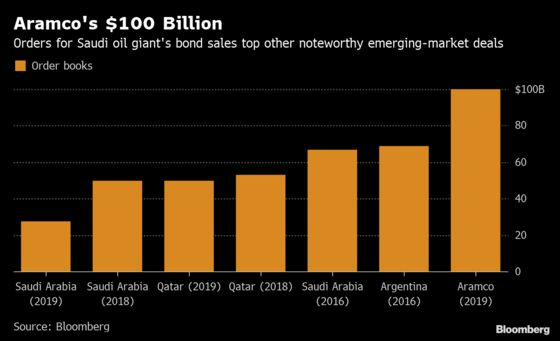 The demand for Saudi Aramco’s debut offering was so robust it allowed the energy giant to borrow at a lower yield than its sovereign parent. That’s a rarity in the debt world and underscores the global chase for yield that has investors brushing off long-held conventions. The rush to buy Aramco’s debt even helped to drag down the borrowing costs of the kingdom.